Contains – ‘Day of Wrath’ (1943), ‘Ordet’ (1955), ‘Gertrud’ (1964) and ‘Master of the House’ (1925). Alongside award-winning classics Day of Wrath (1943), Ordet (1955) and Gertrud (1964), the silent Master of the House (1925), which is presented here for the first time in both its Danish and English inter-titles versions. 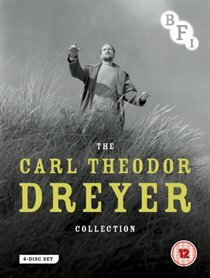 In addition, seven of Dreyer’s short films – made between 1942 and 1955 – are presented in full High Definition for the first time. Special features include Torben Skjødt Jensen’s fascinating 1995 documentary My Métier and extensive archival and outtake interview footage with those who knew and worked with the legendary director.